Obestatin is a 23-amino acid hormone released mainly by cells in the stomach that were distributed in the basal part of the oxyntic mucosa. The expression of the peptide is also reported in cells of the duodenum, jejunum, colon, large and small intestine and perinatal pancreas, mammary gland, breast milk, Leydig cells of the testis, spleen, muscle and adipocyte cells. It is involved in improving memory, regulating sleep and food intake, affecting cell proliferation and promoting survival of pancreatic β-cells and adipocytes , inhibiting glucose-induced insulin secretion and regulating gastrointestinal tract functions. Obestatin and ghrelin derived from the same gene that is located on the chromosome 3p25–26 and it is constituted by five exons and three introns. 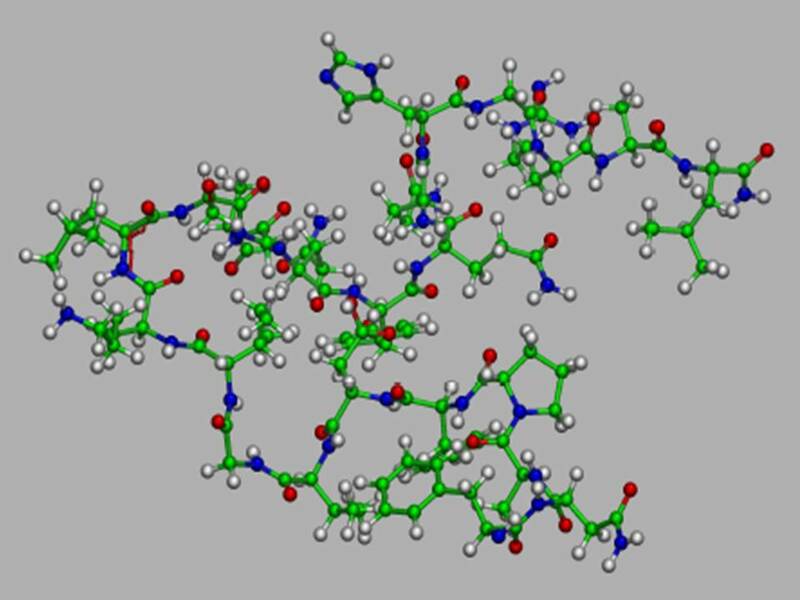 A prohormone convertase processing prepro-ghrelin in the 94 aa pro-ghrelin, from which derived mature ghrelin hormone peptide (1-28) and obestatin peptide (76-94). Amidation of a flanking conserved glycine residue at C-terminal of obestatin is necessary to acquire biological activity. The enzyme caused obestatin amidation has not yet been identified. 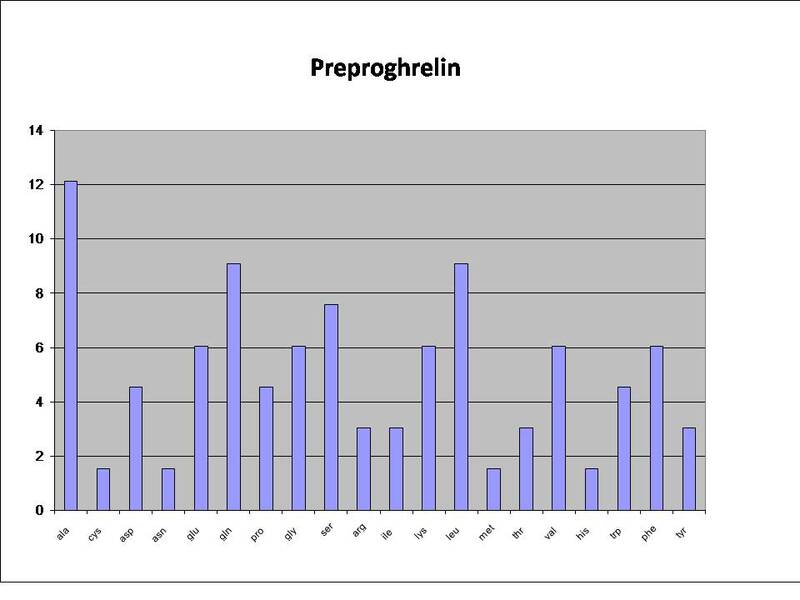 Sequence alignment of human preproprotein obestatin (appetite-regulating hormone isoform 1 preproprotein) revealed extensive homology (89%) with Rattus norvegicus. A quantity of evidence indirectly highlights a correlation between the structural features of the peptide and its biological requirements. The occurrence of C-terminal amidation in the native obestatin suggests that carboxi-amidation is a prerequisite for obestatin’s biological activity. Circular dichroism (CD) and nuclear magnetic resonance (NMR) spectroscopy data demonstrate the preference of obestatin to assume regular secondary structures in the C-terminal portion of the molecule rather than in its N-terminal portion. Moreover, amide moiety is important to induce and to stabilize regular conformations. In this context, according to the hypotheses formulated by Bader et al. the C-terminal amide serves as an anchor to the membrane, thereby stabilizing the more stable conformation at the C-terminus, restricting the conformational space, and possibly inducing the bioactive conformation (Obestatin conformational features: A strategy to unveil obestatin’s biological role? ,2007). 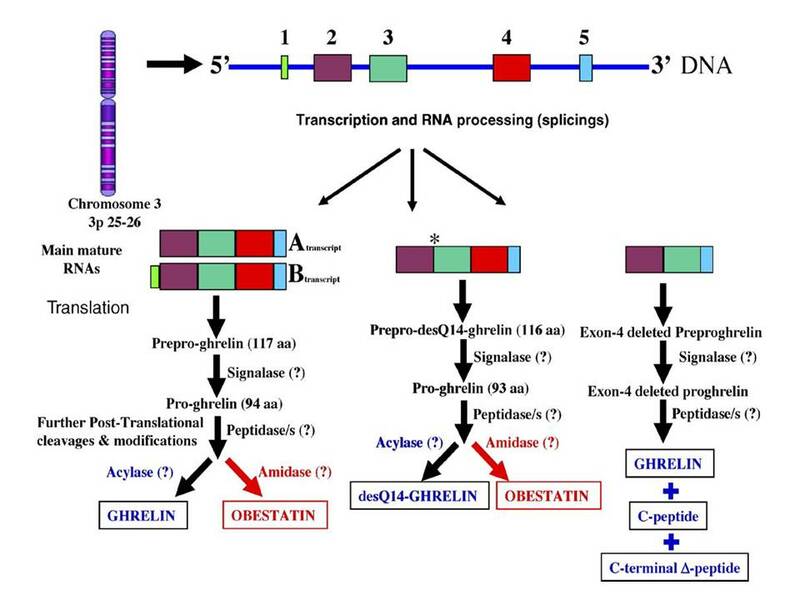 Obestatin was originally proposed to interact with the orphan receptor GPR39. Zhang et al. reported that obestatin was the cognate ligand for GPR39 receptor, based on the claim of its binding to human GPR39 with high affinity and specificity (Obestatin, a peptide encoded by the ghrelin gene, opposes ghrelin's effects on food intake, 2005). A number of subsequent studies did not support the initial promise. Granata et al. 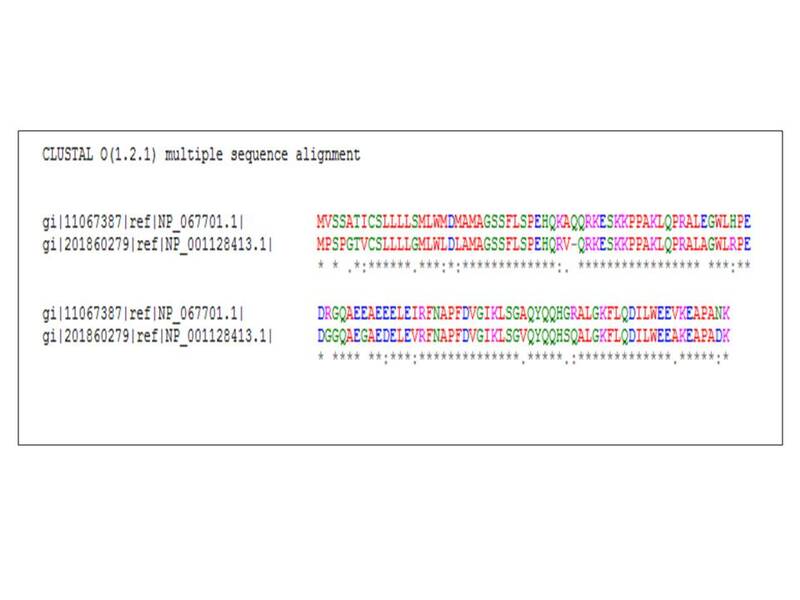 reported that obestatin, showed specific binding on adypocites cells and pancreatic β-cells and bound to glucagon-like peptide-1 receptor (GLP-1R) (Obestatin promotes survival of pancreatic beta-cells and human islets and induces expression of genes involved in the regulation of beta-cell mass and function,2008). Therefore, to date, the receptor for obestatin remains unknown. Further studies are needed to reveal the exact relation between obestatin and GPR39 or GLP-1R. Very little is known about the physiological role of obestatin in humans. It appears to function as part of a complex gut-brain network whereby hormones and substances from the stomach and intestines signal the brain about satiety or hunger (Obestatin: An Interesting but Controversial Gut Hormone, 2011). Although the majority of obestatin is produced by the stomach, the peptide is also expressed in a range of peripheral tissues, including pancreas, liver , testis, mammary gland, thyroid and lung. This may indicate that obestatin has local autocrine/paracrine roles in addition to its actions as an endocrine hormone. Obestatin is an orphan ligand and the search for the obestatin receptor is still ongoing. However, binding sites for obestatin have been identified in the pancreas, heart, white adipose tissue and other tissues (The expanding roles of the ghrelin-gene derived peptide obestatin in health and disease, 2011.). Obesity with its increasing prevalence becomes a global epidemic problem. As a new proposed anorectic peptide hormone, the association of obestatin with obesity and obesity-related diseases, such as diabetes, draws great interest ever since its discovery. There is a significant correlation between insulin and obestatin concentrations in postnatal pancreas , raising the possibility that obestatin could also play a role in the regulation of energy and glucose metabolism. Double immunohistochemical staining indicates that obestatin colocalized with ghrelin in scattered cells located at the periphery of the islets, likely in the so-called ghrelin producing ε-cells (as shown in the panel F of the underlying figure). Obestatin and ghrelin co-expression in ε-cells suggest that these hormones, products of the same gene, act in concert as local regulators of β-cell fate and function (Obestatin, obesity and diabetes2009). Neither somatostatin, glucagon nor insulin, co-localized with obestatin, indicating that α- and β-cells, respectively, do not produce obestatin. Recent studies suggest a crucial role of GLP-1R in adipogenesis, adipocyte proliferation and apoptosis. In the same way as β-cells, obestatin probably induced survival and promoted metabolic signaling pathways thought interaction with GLP-1R. Obestatin did not show effect on GLP-1R expression, opposite to what was observed in β-cells. Interestingly, GLP-1R responded to obestatin activating highly similar signaling pathway to those of GLP-1R cognate ligand, GLP-1. Further studies proposed an involvement of obestatin in several metabolic signaling pathways through the activation of ERK1/2 and PI3K/Akt, which play a key role in adipocyte proliferation and survival (Obestatin regulates adipocyte function and protects against diet-induced insulin resistance and inflammation,2012). Considering the involvement of ghrelin and obestatin in energy homeostasis, both plasma obestatin level and plasma ghrelin/obestatin ratio were used to assess the possible involvement of obestatin in obesity pathogenesis (Obestatin Receptor in Energy Homeostasis and Obesity Pathogenesis.2013). Studies in humans have shown that plasma obestatin do not vary significantly with a fixed energy meal but are significantly lower in obese subjects as compared to lean controls, indicating a role for obestatin in long-term body weight regulation . Disparate findings may support the hypothesis that obese individuals would present an imbalance ghrelin and obestatin levels suggesting that an elevated preprandial ghrelin to obestatin ratio may have a role in the etiology and pathophysiology of obesity (Obestatin, obesity and diabetes2009). 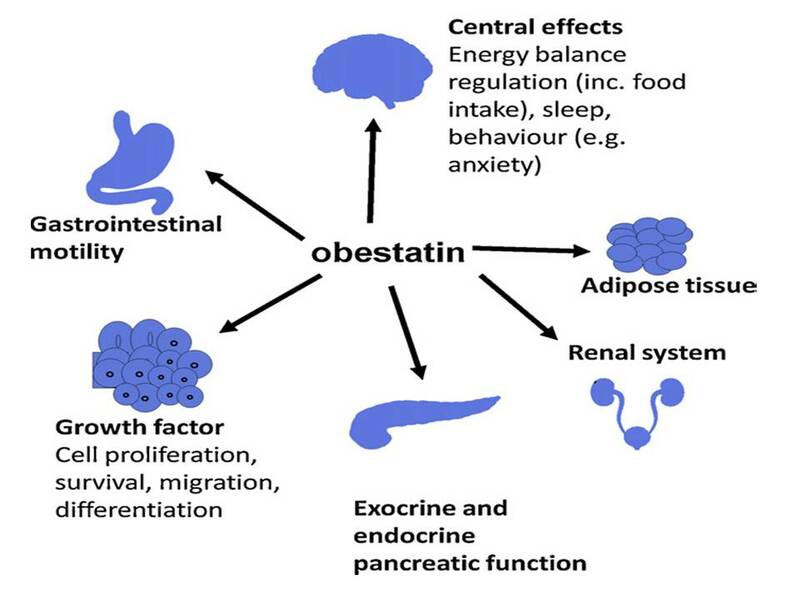 The studies about the role of obestatin in obesity and related pathologies that affect adipose homeostasis remains controversial. Several findings indicate that autocrine/paracrine obestatin, as well as circulating obestatin from the stomach or other tissues, may act on obestatin receptors in adipose tissue to regulate growth and differentiation. 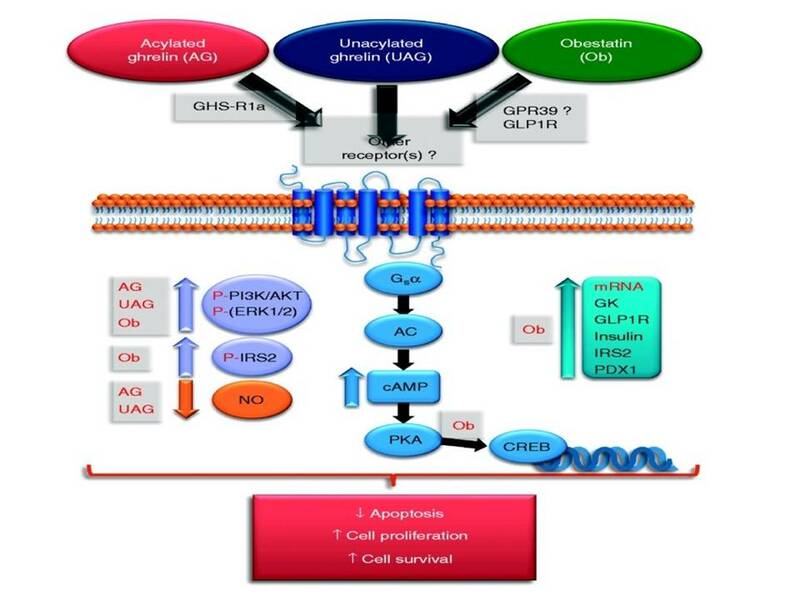 The ability of obestatin to regulate genes that are important in cell function, by stimulating cell proliferation and protecting against apoptosis mediated by pro-inflammatory cytokines, indicates that it could be useful in the future development of therapeutics for obesity (The expanding roles of the ghrelin-gene derived peptide obestatin in health and disease, 2011.). Obestatin may be an important regulator of endocrine pancreatic function. It plays a crucial role as an autocrine/paracrine growth and survival factor in the pancreatic islets providing for the maintenance of pancreatic-cell mass, which is important for pancreatic endocrine function and glucose balance. Obestatin prevented β-cells apoptosis via GLP-1R, increasing GLP-1R transcript over twofold in β-cells and in human islets under serum starvation and cytokines (Unraveling the role of the ghrelin gene peptides in the endocrine pancreas,2010.). Decreased β-cell mass due to apoptosis is an important hallmark of both type 1 and type 2 diabetes. As demonstrated by Granata et al. 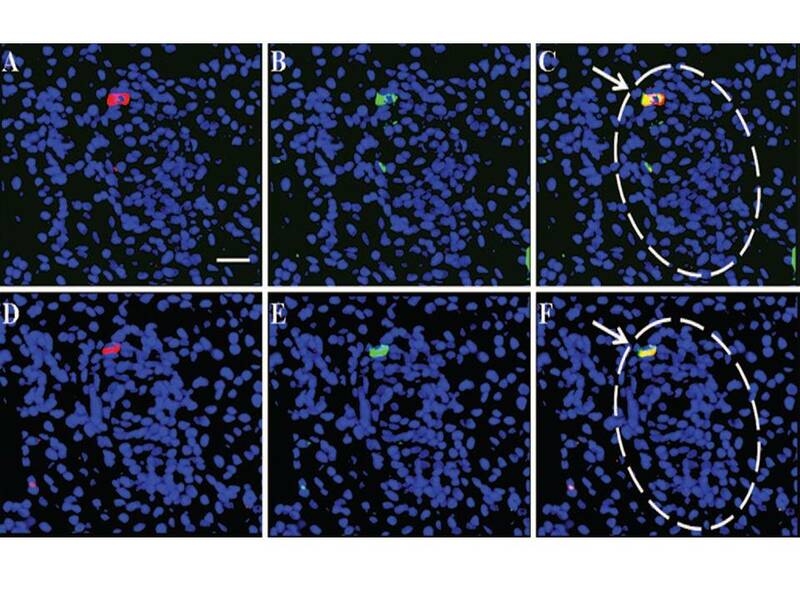 2008 human islets, obestatin promoted cell survival and blocked cytokine, induced apoptosis through mechanisms including AC/cAMP/ PKA signaling and activation of ERK1/2, PI3K and cAMP response element-binding protein. Several studies suggest that insulin and whole body insulin sensitivity could also be regulators of obestatin secretion. The mechanism by which insulin might influence obestatin release is unclear (Obestatin, obesity and diabetes2009). Obestatin may have important endocrine, autocrine or paracrine roles in a number of tissues including pancreas, and adipose tissue. Next few years will lead to the identification of the obestatin receptor and will reveal the potential of obestatin as a diagnostic and therapeutic target.